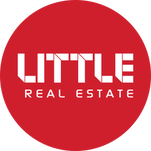 Partnering with some of the best service providers from developers to bankers, property managers to accountants, we establish an ecosystem that provides our clients with a complete encyclopaedia of services to support their investment needs. Over the years, we have created strong partnerships and reputation in the marketplaces and this has resulted in our clients being able to access quality services and opportunities. We are constantly on the lookout for partners who can provide opportunities and services to add value to our clients' portfolios. If you think you have something that we might like, do feel free to contact us.